40 teabags of Barry’s Decaffeinated tea. 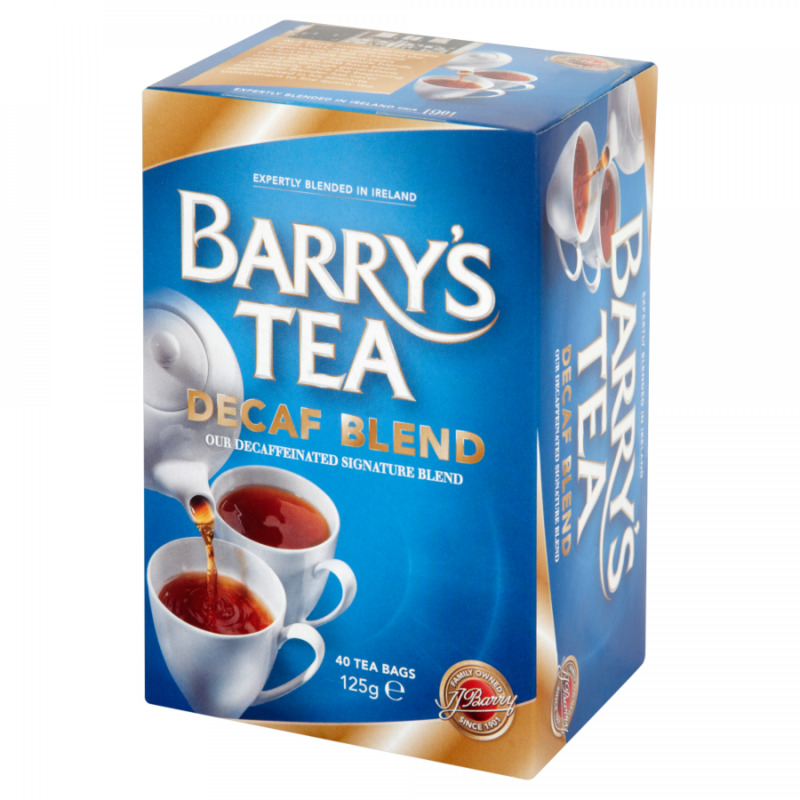 Rediscover Barry's intense taste in a decaffeinated version. A lovely brew to be enjoyed day and night! 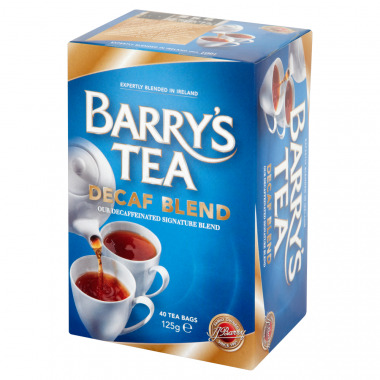 A blue box of 40 teabags. To make the perfect tea, our Master Blender recommends one bag per cup and to always use fresh boiling wtaer. Allow to brew for 3-5 minutes depending on how stong you like your tea.